Blenkinsopp, Joseph. Opening the Sealed Book: Interpretations of the Book of Isaiah in Late Antiquity. Grand Rapids: Eerdmans, 2006. Crean, Thomas. “On the Prophet Jonah” in Living Tradition, No. 101, September 2002. Fuentes, Antonio. 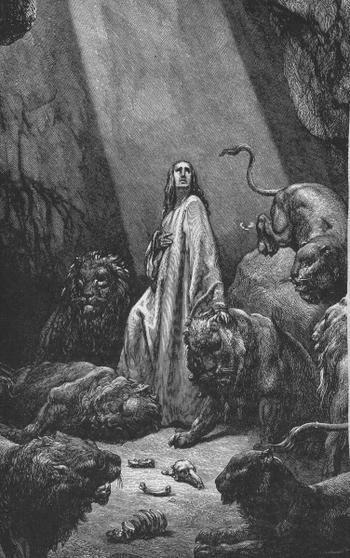 “Old Testament Guide: Daniel” in This Rock, Vol. 3, No. 8, August 1992. _____. “Old Testament Guide: Ezekiel” in This Rock, Vol. 4, No. 5, May 1993. _____. “Old Testament Guide: Isaiah” in This Rock, Vol. 3, No. 10, October 1992. _____. “Old Testament Guide: Jeremiah” in This Rock, Vol. 5, No. 6, June 1994. _____. “Old Testament Guide: Lamentations and Baruch” in This Rock, Vol. 6, No. 11, November 1995. _____. “Old Testament Guide: Minor Prophets” in This Rock, Vol. 5, No. 2, February 1994. Kissane, Edward J. The Book of Isaiah: Volume I (I–XXXIX). Dublin: Browne and Nolan, 1941. _____. The Book of Isaiah: Volume II (XL–LXVI). Dublin: Browne and Nolan, 1943. Vawter, Bruce. The Conscience of Israel: Pre-exilic Prophets and Prophecy. NY: Sheed & Ward, 1961.
van Zeller, Hubert. Isaias: Prophet for Our Time. Fort Collins: Roman Catholic Books, 1938 reprint.